RoadRunner is a lightweight, ads ready and flexible theme with attractive splash of colors. 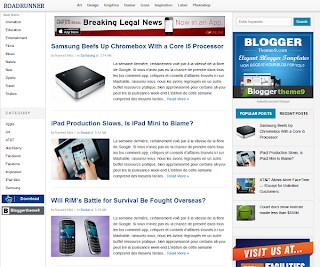 Roadrunner blogger templates is a wide theme, designed for users who used to add tons of Ads on their blog. 3 column template with a wide post area. We've added 2 navigation bar on left side-bar and a fixed navigation area on top.